To improve the electronic devices that keep our modern, hyper-connected world organized, scientists are on the hunt for new semiconductor materials, which control the flow of electricity that powers smart phones and other electronic devices. But a group of scientists were recently surprised to find the interface of two particular complex oxides – the polar lanthanum chromium oxide, LaCrO3, and the nonpolar strontium titanium oxide, SrTiO3 – did not conduct electricity. The scientists – from Pacific Northwest National Laboratory and the University College London in Britain – give a possible explanation for this unexpected result in a paper published in the Nov. 11 issue of Physical Review Letters. Their hypothesis challenges the reasoning that many use to explain conductivity at the interface of complex oxides. Reference: SA Chambers, L Qiao, TC Droubay, TC Kaspar, BW Arey, and PV Sushko. 2011. 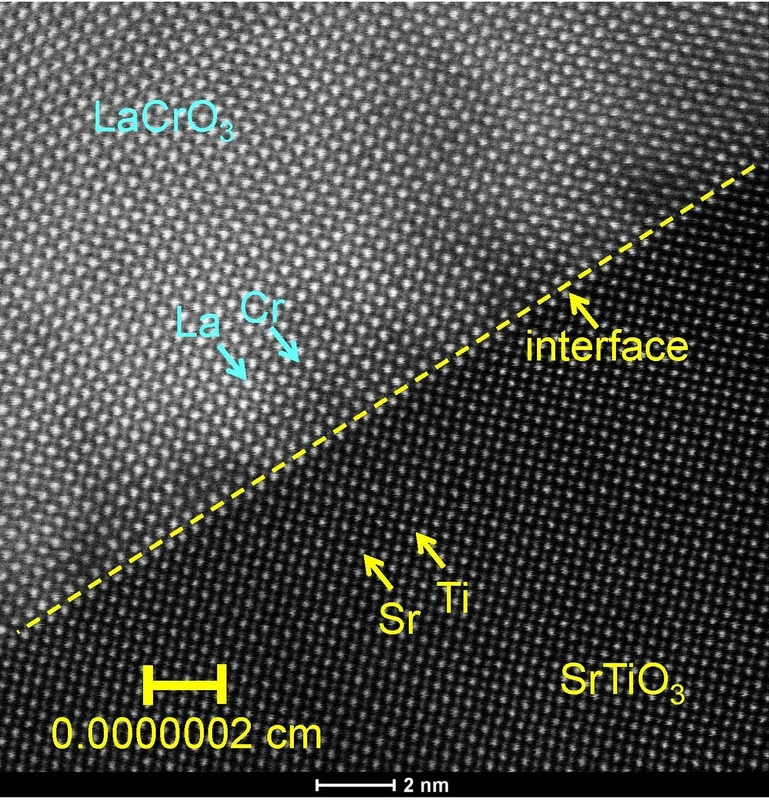 "Band alignment, built-in potential, and the absence of conductivity at the LaCrO3/SrTiO3 (001) heterojunction." Physical Review Letters. DOI: 10.1103/PhysRevLett.107.206802.